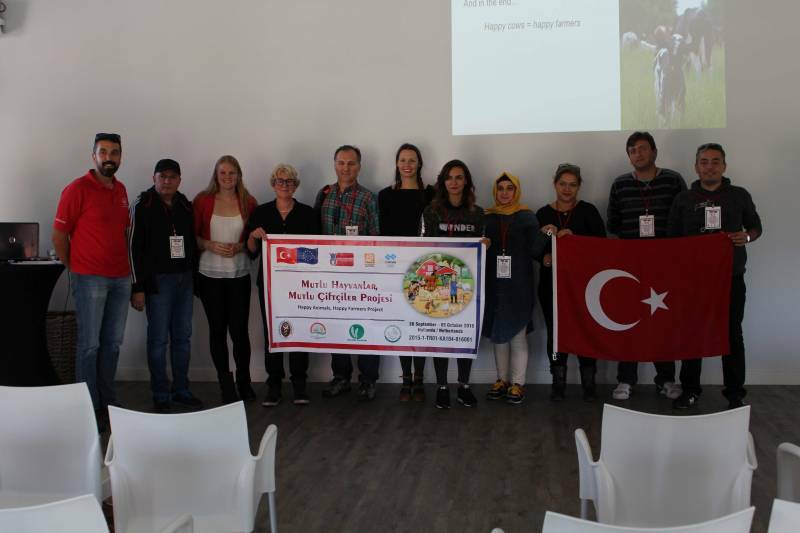 Today we gave a presentation in Bergschenhoek (NL) to 12 veterinarians from Turkey. 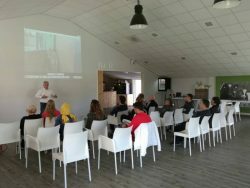 The veterinarians were on a visit to Holland for a week-course on “Animal Welfare” organized by the Dutch company Lely, a which produces machines, including the milk-robot, for the international dairy industry. Our presentation was about our inspections of cattle being transported from Europe to Turkey and the serious welfare-problems at the Turkish/Bulgarian border, the situation inside Turkish slaughterhouses and our research on the welfare of cow and calf in the dairy industry. 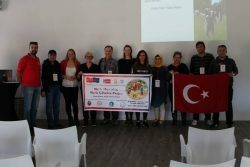 We showed lots of our footage and proposed several ideas on how veterinarians in Turkey could help improve animal welfare. The veterinarians were very interested and took our recommendations seriously. We would like to thank them for their enthusiasm. We would also like to thank Lely for the invitation and inspiring day! 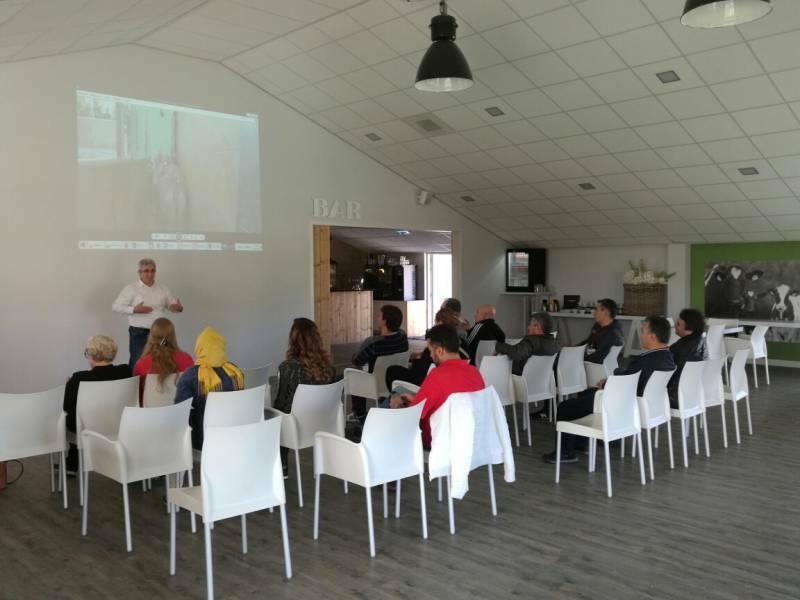 Eyes on Animals is very pleased to see companies like Lely organize such welfare workshops to help raise animal-welfare standards in the countries they work in.